This one is dicey. The website (as of this writing,) says that we’re a team of elite agents who, after taking out a cell of terrorists, need to shut down the launch of nuclear warheads. The Gamemaster said we were spies who needed to break into a hideout and disarm some bombs. The game itself made it out to be a training exercise. What’s the real theme here? Your guess is as good as mine, honestly. We’d had a couple of average to poor experiences so far with Dark Carnival and Mine Shift, respectively, but these could be chalked up to newness of the room or unfortunate errors, and both rooms seemed to have potential. Since Project 00 was an older room that Last Second Escape had more time to make adjustments with, I was cautiously optimistic that this might be a better experience. I really liked the laser maze. These are fairly ubiquitous within a lot of escape rooms, but I always have fun doing them. At the beginning of the room, one of us was handcuffed to a briefcase, which was an interesting start, but that spot of interest was short lived. This room was an absolute train wreck for the most part. At the beginning, the gamemaster mumbled a mostly incoherent story to us, which did nothing to excite us for the mission. Once we found a black light, we were supposed to use it in several uninspired shine-the-black-light-everywhere “puzzles.” To reiterate my thoughts on black light over-reliance, when there are no clues to direct you, which was the case here, it’s just lazy game design. Unfortunately, this was one of the most egregious examples of black light abuse I’ve ever seen, and it showed within the already choppy game flow. Another broken puzzle revealed itself to us almost immediately, but we were assured we’d be able to use it properly later in the game. However, the puzzle never worked due to it being completely worn away in most spots. At no point was an attempt made to correct this severe error, nor was an apology given while we were there. 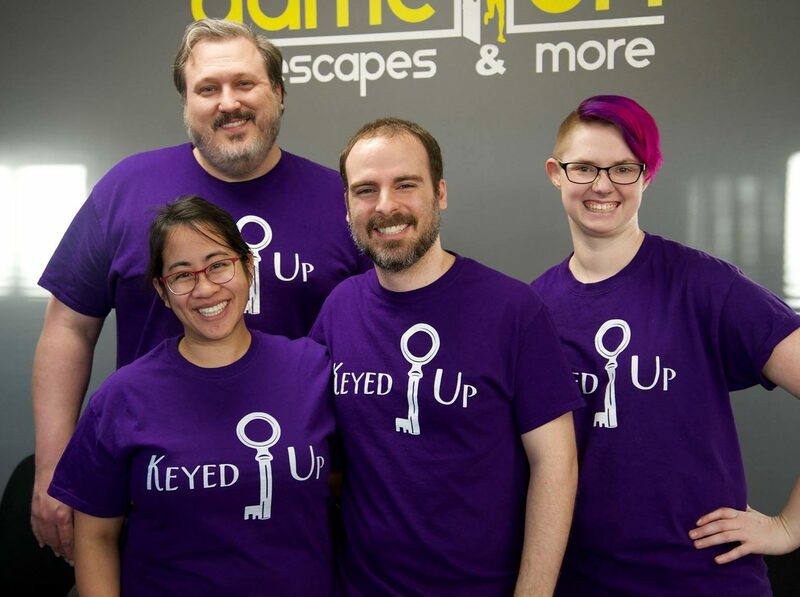 Randomly placed solutions were presented as puzzles, which did nothing to dissuade us from our thought that this game was even more poorly crafted than the others we’d experienced at Last Second Escape. Set design was also incredibly uninspired, feeling sparse and nonsensical in one particular area. The room felt like a converted office space, and was not immersive in the slightest. There were no puzzles we had not seen before implemented more interestingly, and by the time we reached the half way point of the room, I wanted nothing more than to finish up so it could be over. This is, by far, the worst room of the eight we did during our Richmond trip. In fact, I’d put it in my bottom 10 as well. There is so much that needs to be overhauled to make this room recommendable that I would advise scrapping the whole thing. Whereas the other rooms at Last Second Escape were good ideas with somewhat flawed implementation, this room was just horrible throughout. You can definitely do better, but if you would like to book Project 00, you can do so here. Wish I’d read this first. So true. A waste of time. No fun at all. Oh man, I wish you’d seen it too, that was one of the worst rooms at one of my least favorite businesses. At least you’ve got Escape RVA!